BANGKOK, Oct 12 – Bangkok Metropolitan Administration (BMA) today launched an official slogan for the Thai capital chosen by over 40,000 voters. Bangkok governor Sukhumbhand Paribatra presided over the slogan-launching ceremony at the City Hall courtyard. He said the slogan was to celebrate the 230th anniversary of Bangkok, founded as the capital of Siam in 1782. A contest for slogan selection was held. Over 100,000 persons submitted postcards to vote for their favourite slogan. The writer of the chosen slogan was Sutathip Pattanatheeradech. 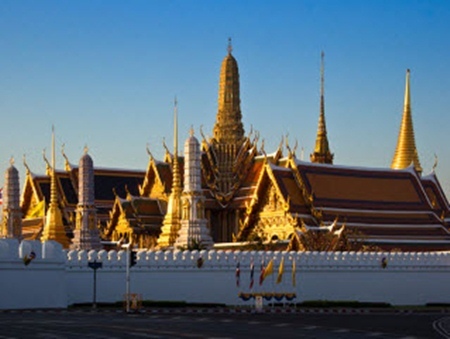 The slogan, to be posted on more than 800 signboards in all 50 of capital’s districts, as well as in the larger metropolitan area, will be used in ceremonies and on other occasions to promote Bangkok tourism.